A huge well done to Albie in Year 1 who has won the Harlow Pets Corner scarecrow competition. 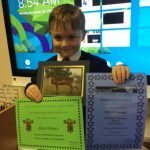 This is a great achievement and his brilliant scarecrow fought off some tough competition from hundreds of other school children across Harlow. 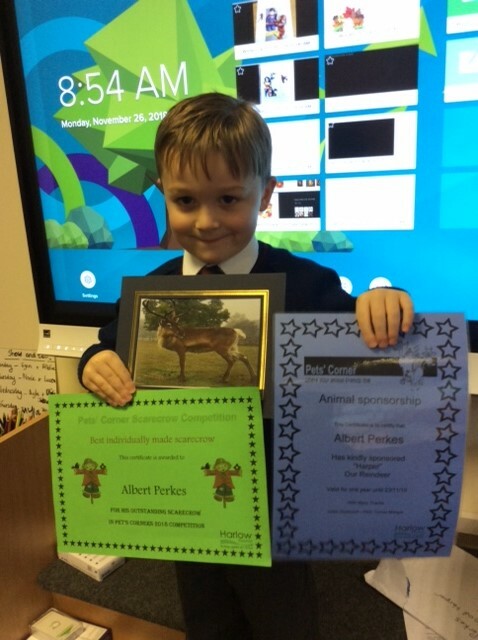 His prize is to choose a pet from Pets Corner to sponsor for a year and, after careful consideration, Albie has decided to sponsor the reindeer. Congratulations Albie!